Industrial landscape: Canada's Tar Sands: Tailings Pond Abstract #3. Series: The True Cost of Oil. Tailings Pond Abstract #3. Series: The True Cost of Oil. 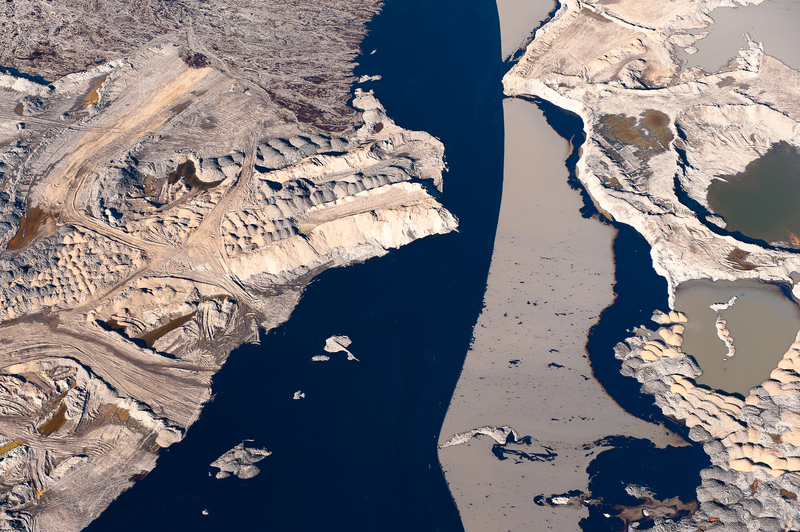 So large are the Alberta Tar Sands tailings ponds that they can be seen from out space. A cocktail of a host of the most deadly and carcinogenic toxins, they are finding their way into the Athabasca River and the foodchain of downstream indigenous communities Like Fort Chipewyan. In Fort Chipewyan rare cancers, previously unknown in the community, are now appearing with alarming frequency. As an example, bile duct cancer, which usually appears perhaps once per 100,000 individuals, has appeared in three separate cases in just the last few years in this community of twelve hundred.